Born in 1954, Wang Anyi is one of contemporary China's most influential and innovative writers. Wang is currently the chairperson of theShanghaiWriters' Association. 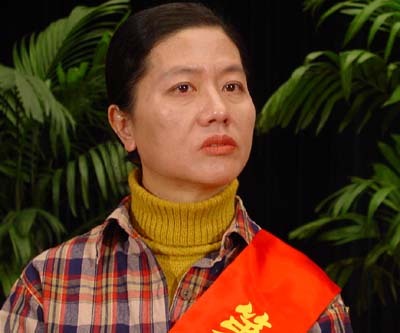 She has written more than five millionChinese characters, winning important awards from both home and abroad dozens of times. Wang is the co-author of the screenplay ofChen Kaige's filmTemptress Moon, and has also had numerous books translated into English, includingBaotown(1985),Lapse of Time(1988),Love in a Small Town(1988),Love on a Barren Mountain(1991), andBrocade Valley(1992). Her most challenging novel,Changhen Ge(Song of Everlasting Sorrow,1996), is a beautifully written epic tracing the trials and tribulations of a former Shanghai beauty pageant winner from the 1940s to the present. Wang's work is particularly interesting from a feminist perspective. For instance, some of her later works, particular her trilogy of "love" novels from the late 1980s (Love in a Small Town, Love on a Barren Mountain, and [Love in a] Brocade Valley), have been striking and controversial in imaginatively exploring feminine subjectivity and sexuality. Wang was elected as the seventh chairperson of the Shanghai Writers' Association on December 6, 2001. "I am fearful and even in trepidation over this appointment. Shanghai is a city that boastedLu Xunand Ba Jin (two famous Chinese writers). I am not even a pupil of these masters. … I don't even know how to face this new post. I was used to the relatively solitude world where I wrote, but now I have been pushed back to reality," she said, adding, "Writing is a job I am good at. Without writing, I guess I am a person who does not deserve much attention." This is typical Wang-style monologue, low-keyed, poetic, and sober.